ShopRite Shopping Trip: $0.50 Moneymaker on 10 Products! Combine ShopRite eCoupons and manufacturer coupons for an easy way to stock up on items and save on items that aren’t free. I used the overage from a few items to save on my out-of-pocket cost on cleaning products that were part of a Catalina deal this week. Sometimes these deals work off the full shelf price and you do not have to reach the minimum, but you can still earn the Catalina. This was the case this week on the Lysol products. TOTAL COST: $0.50 Moneymaker on all 10 products! 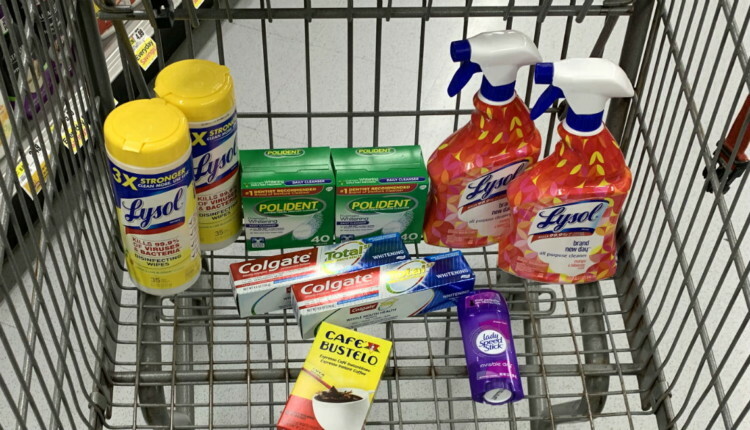 The post ShopRite Shopping Trip: $0.50 Moneymaker on 10 Products! appeared first on The Krazy Coupon Lady.